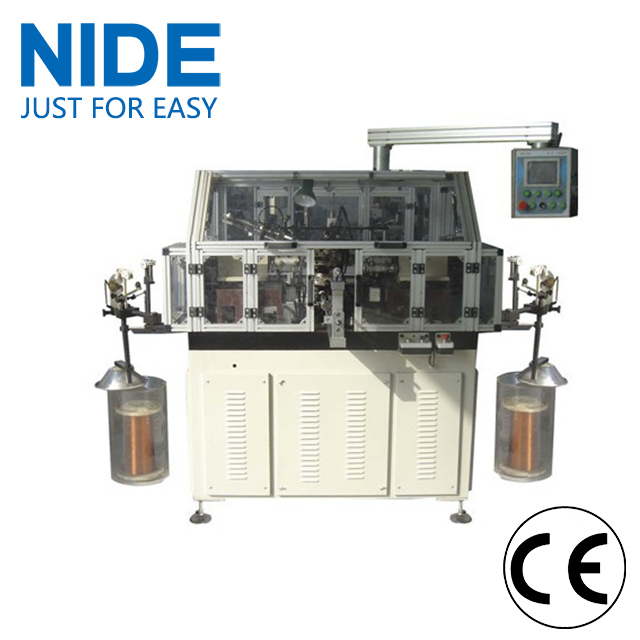 Nide's LAW-2 series automatic armature wire making machine adopts international advanced technology. The AC servo controls the winding and indexing movement. Meanwhile, this series of armature Coil Winding Machine uses touch screen to display and edit the parameter, improving the efficiency largely. It is suitable for small wire diamter winding. It is a good choice for motor manufacturer. Looking for ideal Coil Wire Making Machine Manufacturer & supplier ? We have a wide selection at great prices to help you get creative. All the Armature Wire Making Machine are quality guaranteed. We are China Origin Factory of Armature Coil Making Machine. If you have any question, please feel free to contact us.